"These are your neighbors, these are your friends, they go to church with you"
Capital Gazette Tragedy Hits Home at U.Md. Three of the journalists gunned down Thursday at work at the Capital Gazette had ties to the University of Maryland. The journalism school's dean spoke about victim Rob Hiaasen and about who all the victims were: “These are your neighbors, these are your friends, they go to church with you. They work incredibly hard. And most journalists in this country are not talking heads on cable, they are people just like the people murdered yesterday." Four journalists and a sales assistant were killed Thursday in a shooting at a Maryland newspaper. Authorities said the gunman entered the Capital Gazette in Annapolis and "looked for his victims." The employees killed were Gerald Fischman, Rob Hiaasen, John McNamara, Rebecca Smith and Wendi Winters, police said. A city vigil was planned for the victims at 8 p.m. at a public square near the Capitol, followed by a march to a dock for a service by the water. Governor Larry Hogan has ordered flags in the state to be lowered to half-staff to honor the victims. "With the lowering of the Maryland flag, we honor the dedicated journalists of our hometown newspaper in our state's capital. To the family, friends, and colleagues at the Capital Gazette and its parent company, the Baltimore Sun, you have the deepest sympathies of a state in mourning," Hogan said. The 59-year-old had been a feature writer at The Baltimore Sun for 15 years before moving to the Capital Gazette in 2010 as an assistant editor. He was also an adjunct lecturer in journalism at the University of Maryland. A husband and father of three adult children, Hiaasen loved being a dad, a journalist and a humorist, his widow, Maria Hiaasen said. Hiaasen was killed on his wife's birthday. "No matter what that sophomoric, violent man did, is charged with doing, the memory of Rob Hiaasen will live on," Maria Hiaasen told News4 on Friday, her voice breaking. Her son held her hand as she spoke. Hiaasen's widow said her pain was mixed with "the absolute love and pride in my husband that I feel the need to share with others." 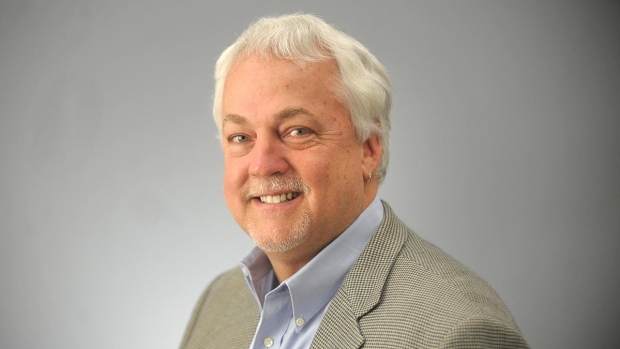 This photo provided by the Baltimore Sun Media Group shows Rob Hiaasen, Deputy Editor of the Capital Gazette, who was killed by a gunman at the paper's newsroom on June 28, 2018. Hiaasen was the brother of best-selling author and journalist Carl Hiaasen. "Everyone who worked with him will remember him as just an incredibly gifted and generous journalist," Carl Hiaasen told NBC News. Hiaasen had just begun teaching reporting at University of Maryland. "The students loved him, he was fun to have in the building, he was very good at it," journalism school dean Lucy Dalglish told News4. The Baltimore Sun reported Saturday that a "celebration of life'' for Hiaasen will be held Monday at the Irvine Nature Center in Owings Mills. The invitation says shorts are welcome, as the slain Capital assistant managing editor wouldn't have wanted attendees to have to wear a suit for him. 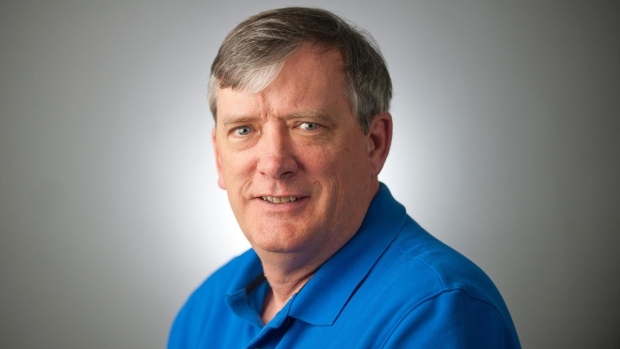 This photo provided by the Baltimore Sun Media Group shows John McNamara, reporter and editor at the Capital Gazette, who was killed by a gunman at the paper's newsroom on June 28, 2018. McNamara was a veteran reporter and editor. 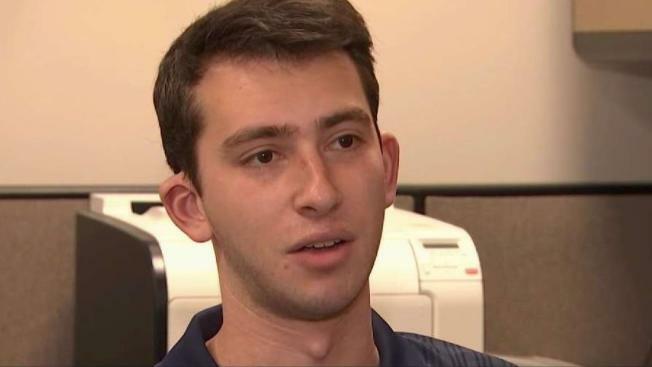 On his LinkedIn page, he described himself as a beat reporter for University of Maryland athletics and the Orioles minor league system. He also helped put together the daily sports section. 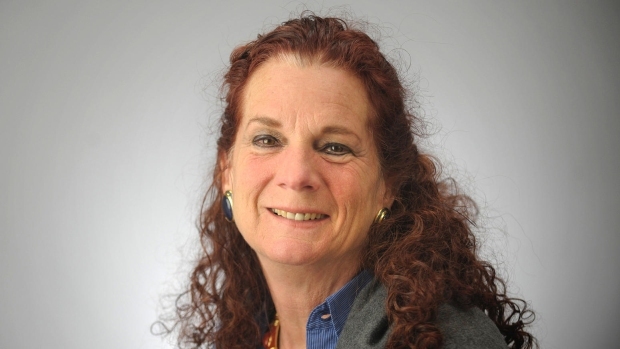 McNamara had worked for The Capital Gazette for more than 20 years. "I also have an interest in local history, specifically as it relates to local high school sports," he wrote. A 1983 graduate of the University of Maryland in College Park, he was also a sports writer at The Herald-Mail in Hagerstown, Maryland, a copy editor at the Annapolis Capital and a staff writer and sports editor at the Journal Newspapers in Lanham, Maryland. 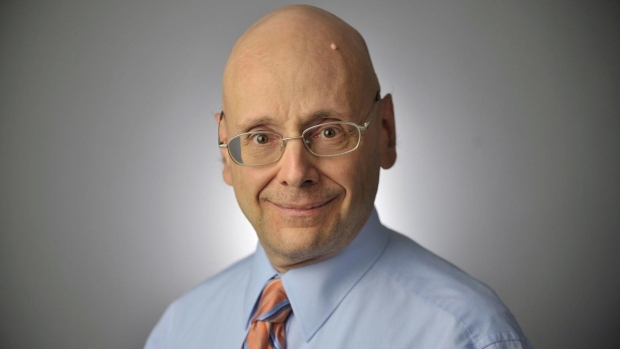 This photo provided by the Baltimore Sun Media Group shows Gerald Fischman, Editorial Page Editor of the Capital Gazette, who was killed by a gunman at the paper's newsroom on June 28, 2018. The 61-year-old was the newspaper's editorial page editor. The Sun descibed him as the conscience and voice of the Annapolis news organization for more than 25 years. "Gerald was a phenomenally smart man," former two-term Anne Arundel County Councilman Jamie Benoit told the newspaper. Former Capital Gazette editor Steve Gunn remembered Fischman as "the master of AP style" who "made sure everything was just right." "He was famous for working long days and being very precise in his language and always making sure the editorial page reflected the heart of the newspaper," Gunn said in an interview with The Associated Press. Fischman was a 1979 graduate of the University of Maryland, the school said in its statement Friday. Winters, 65, was an editor and community reporter. "My mother was a wonderful woman and a fantastic reporter," daughter Winters Geimer told The Sun. "Her life was a gift to everyone who knew her and the world will not be the same without her. We are grieving and trying to make sure all of us can be together to celebrate the life of our mother." Winters was "the heart of the newspaper," Gunn said. Winters was passionate about serving the community and a role model for younger journalist, he recalled. "She was in many ways the best part of the newspaper in that she cared so much about the city," he said. The Rev. Fred Muir's voice cracked on Friday when he described the mounting dread he felt as it became clear Winters didn't survive Thursday's shooting at the Capital Gazette in Annapolis. The 65-year-old Winters was a special publications editor and a mother of four. Muir described her as a beloved "pillar of her community." Some of those attending a vigil at the Unitarian Universalist Church of Annapolis on Friday gasped when the Rev. John Crestwell noted that Winters had participated in an "active shooter training" session at the church three weeks ago. Crestwell said he was sure that Winters "did not cower in fear." He said she "died a hero and probably saved more lives." The Baltimore Sun says a memorial service for Winters will take place at noon July 7 at the Unitarian Universalist Church of Annapolis. Phoenix Geimer, one of Winters' daughters, announced the plans on Facebook. In lieu of flowers, Geimer urged well-wishers to make a donation to the Girl Scouts of America, the American Civil Liberties Union, Planned Parenthood, or the American Red Cross. The 34-year-old was a sales assistant and a recent hire at the paper, the Sun reported. Kelli Peleska, who played softball with Smith's fiance, said Smith attended games and traveled to tournaments with the team. "She was the absolute most beautiful person. The biggest heart and a great loss to this world," Peleska said Thursday night. The dean of the University of Maryland journalism school, where Hiaasentaught, said the hostile tone taken against journalists worried her. “These are your neighbors, these are your friends, they go to church with you," Lucy Dalglish told News4. "They work incredibly hard. And most journalists in this country are not talking heads on cable; they are people just like the people murdered yesterday. They work hard to do their job, and our democracy cannot survive without them." President Trump, who has previously villainized reporters as "the enemy of the people," said on Friday that "journalists, like all Americans, should be free from the fear of being violently attacked while doing their jobs." The front page of The Capital.